Summary: Researchers report Parkinson’s patients who received a combination of cognitive training and dopaminergic medication showed a significant reduction in the severity of their freezing of gait, a symptom associated with PD. Researchers report significant reduction in the severity and duration of freezing of gait, improved cognitive processing speed and reduced daytime sleepiness. Research has linked FoG to aspects of attention and cognitive control, a link supported by neuroimaging evidence revealing impairments in the fronto-parietal and fronto-striatal areas of the brain. “We believe there is reason to be hopeful for the use of these trials in the future,” said study leader, Dr Simon Lewis, a professor of cognitive neuroscience at the University of Sydney’s Brain and Mind Centre and Royal Prince Alfred Hospital in Australia. Research has linked FoG to aspects of attention and cognitive control, a link supported by neuroimaging evidence revealing impairments in the fronto-parietal and fronto-striatal areas of the brain. NeuroscienceNews.com image is in the public domain. “Taking dopaminergic medications as prescribed is the normal day-day state for patients with Parkinson’s Disease,” said study lead-author, Dr Courtney Walton, formerly at the University of Sydney and now at the University of Queensland. The researchers say more studies using larger samples are needed to investigate this initial finding that cognitive training can reduce the severity of freezing of gait in Parkinson’s diseases patients. Original Research: Open access research for “Cognitive training for freezing of gait in Parkinson’s disease: a randomized controlled trial” by Courtney C. Walton, Loren Mowszowski, Moran Gilat, Julie M. Hall, Claire O’Callaghan, Alana J. Muller, Matthew Georgiades, Jennifer Y. Y. Szeto, Kaylena A. Ehgoetz Martens, James M. Shine, Sharon L. Naismith & Simon J. G. Lewis in npj Parkinson’s Disease. Published May 18 2018. University of Sydney “Cognitive Training Reduces Gait Freezing in Parkinson’s.” NeuroscienceNews. NeuroscienceNews, 18 May 2018. 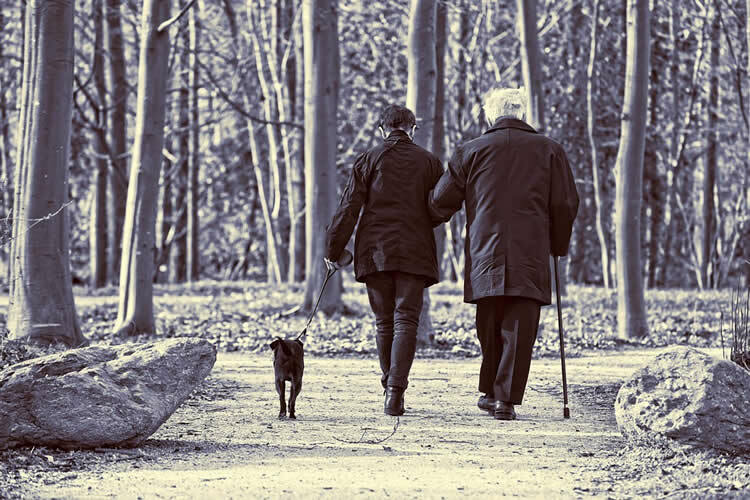 University of Sydney “Cognitive Training Reduces Gait Freezing in Parkinson’s.” http://neurosciencenews.com/gait-freezing-parkinsons-cognitive-training-9085/ (accessed May 18, 2018). The pathophysiological mechanism of freezing of gait (FoG) has been linked to executive dysfunction. Cognitive training (CT) is a non-pharmacological intervention which has been shown to improve executive functioning in Parkinson’s disease (PD). This study aimed to explore whether targeted CT can reduce the severity of FoG in PD. Patients with PD who self-reported FoG and were free from dementia were randomly allocated to receive either a CT intervention or an active control. Both groups were clinician-facilitated and conducted twice-weekly for seven weeks. The primary outcome was percentage of time spent frozen during a Timed Up and Go task, assessed both on and off dopaminergic medications. Secondary outcomes included multiple neuropsychological and psychosocial measures. A full analysis was first conducted on all participants randomized, followed by a sample of interest including only those who had objective FoG at baseline, and completed the intervention. Sixty-five patients were randomized into the study. The sample of interest included 20 in the CT group and 18 in the active control group. The primary outcome of percentage time spent frozen during a gait task was significantly improved in the CT group compared to active controls in the on-state. There were no differences in the off-state. Patients who received CT also demonstrated improved processing speed and reduced daytime sleepiness compared to those in the active control. The findings suggest that CT can reduce the severity of FoG in the on-state, however replication in a larger sample is required.